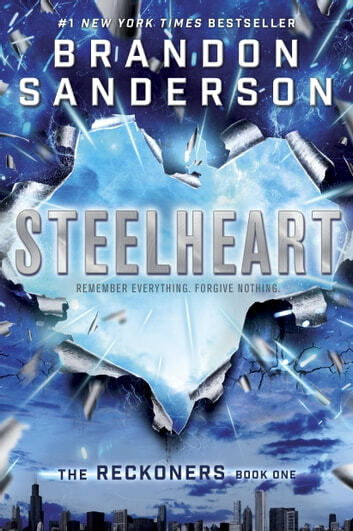 The #1 New York Times bestseller from Brandon Sanderson, the author of Oathbringer, coauthor of Robert Jordan’s The Wheel of Time series, and creator of the internationally bestselling Mistborn trilogy. And don’t miss the rest of the Reckoners series: Firefight and Calamity. Look for book two in the Reckoners series, Firefight, available now. The characters and story really drew me in. 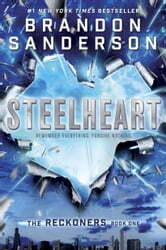 Action packed and exciting from the start with interesting twists throughout. Would have been 5 stars but it was such a quick read it felt like I was just watching a movie. I'm excited for more books in this world. This book was very good, it was fast and easy to read and I felt like the author had really put a lot of thought into the whole thing. Love the writing too. Great worldbuilding and the characters had distinctive voices and overall I definitely like it. I did find it a bit hard to get into at first, but after few chapters it held my interest. At first I did feel like I was reading some sort of X-Men fan-fiction and that did put me off a bit, but after I got over that feeling it all went a lot better. One thing that kind of bugs me a bit after finishing it, is that I can’t remember the name of the main character. I do remember him being called Knees by the girl, Megan. I also remember the other members of the Reckoners: Tia, Cody, Jon (Prof), A… (?? I want to sat Amadeus, but I am pretty sure that’s wrong). So, apparently I forgot the name of the guy that starts with an A too, but in my defense I am usually bad with names. However, that was not the important part though, what I tried to point out was that I don’t feel like it’s a good thing to forget the main character.Was he not unique enough? Was his name not mentioned a lot? Or is it just me? I don’t see why I can’t remember the name of the guy I spend yesterday reading about. I don’t want to put down the rating of book because of it since it’s a very good book and with a nice plot and a great ending. I am a bit sad that it didn’t stick better than it did and even with the nice ending and the hook if left me with, I don’t feel the need to jump into the sequel right away. And I would have wanted to feel that. I do love the main character’s voice even if I can’t remember his name, I think he’s so funny and just adorable and nerdy in such a perfect way. It’s a dark story with a lot of emotions and sadness, but the author still manages to bring out glimpses of happiness and there are lots of jokes and funny moments that makes me smile. I like that. So the conclusion is that I don’t want to say that this is the best book I’ve ever read, but it’s the best in quite a while and I do recommend it to everyone interested in this kind of genre, which I would put as an YA Sci-Fi. Bonjour Je fus surpris par la qualité du déroulement de l'action. Les dialogues ne sont pas superficiels, vides de sens et prévisibles. C'est un livre ou les héros sont ceux qui ne cachent pas leurs faiblesses mais qui l'affrontent et les surmontent.